Photo frame Nevada 15x20cm sp./lacq. Photo frame Nevada 13x18cm sp./lacq. Polished photo frame with smooth border and a photo-mount. Suitable for one 10x15 cm photograph. The border of the photo frame is silver plated and lacquered so no polishing is required. 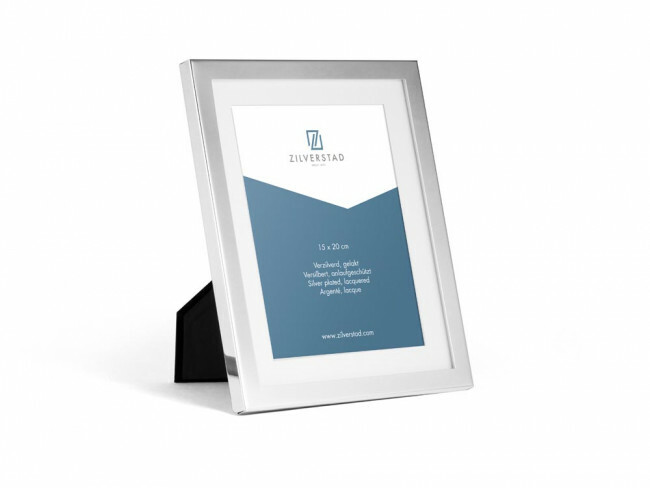 Polished photo frame with smooth border and a photo-mount. Suitable for one 13x18 cm photo. The border of the photo frame is silver plated and lacquered so no polishing is required. Matt photo frame with smooth border and photo-mount. Suitable for one 15x20 cm photo. The border of the photo frame is of aluminium so no polishing is required. Polished photo frame with smooth border and a photo-mount. Suitable for one 15x20 cm photo. The border of the photo frame is silver plated and lacquered so no polishing is required. You're reviewing: Photo frame Nevada 15x20cm sp./lacq.